Despite the plethora of anime I have had the chance to binge-watch at the peak of my procrastination none have been quite as provocative and genuinely insane as the 1988 cult film Akira. Going into this film blind, knowing close to nothing about the intense plot and complex cast of characters, I can now safely say I had vastly underestimated what this film was about and how chaotic it would become. “Autoethnography is an approach to research and writing that seeks to describe and systematically analyse personal experience in order to understand cultural experience” (Ellis, et al, 2011). In simpler words, the way we view a culture is reflected on our own perspective and cultural background. Come to think of it, I did have a chance to practice autoethnographic methodology last week as I used my personal framework and cultural background to reflect on my understanding about a Japanese film, Gojira. When I watched that film in class, I was searching for the similarity between Japanese pop culture and my own culture and simultaneously analysing those cultural values that I have already been familiar with to understand the meaning of this foreign film, despite the language barrier that existed in the film itself. In week 1 of live tweeting, we explored an old Japanese black and white action film, Gojira (1954). As a big fan of Godzilla films made by Hollywood, I was surprised to know that this Japanese film was the very first one, or should I say, the original ‘Godzilla” film in this franchise. The main story of the film is about an enormous monster infected by nuclear radiation known as Godzilla. Godzilla is one of the most recognisable symbols of Japanese popular culture worldwide and remains an important facet of Japanese films. This is the first time I have ever experienced live tweeting and I find it interesting to do that during the film as it makes it easy for me to interact with other classmates about the film. Two weeks ago I finally conquered a challenge I set myself many years ago. As the credits to Akira Kurosawa’s Seven Samurai (1954) rolled with the defiant soundtrack of Fumio Hayasaka booming, I immediately navigated to a new IMDB tab. This is a ritual I usually undertake after any film; looking through every available production or trivia fact about the movie to add to my understanding of it. I believe the experience isn’t truly over until you know how the film was made and why it was made. In many ways this parallels the same process detailed by the Ellis et all (2011) reading wherein auto-ethnographic researchers take the small revelatory moments or “epiphanies” that arise from the initial experience and further analyse them to make sense of the subject. For a filmgoer like myself, who’s exposure to Japanese film had been almost non-existent before this course, Seven Samurai provided a flurry of epiphanies. Perhaps the most immediate revelation when watching the film came in the form of Kurosawa’s commentary on Eastern mythology. In recent years, the Samurai have been depicted in both eastern and western media as a beacon of altruism, confined by their strong moral code and entrenched spirituality. But Kurosawa has a very different view. In the world of Seven Samurai, the Samurai are depicted as aimless warriors willing to fight for any cause if the price is right. This is made most evident at the beginning of the film when the impoverished villagers beg for assistance in the protection of their village and the majority of Samurai ignore them or outright decline immediately. Even the titular Samurai are only swayed by the promise of food, and not by moral enlightenment. Although I had looked into Japanese history in the past, particularly the Satsuma Rebellion which effectively marked the end of the Samurai and was the subject matter for the 2003 film The Last Samurai, Kurosawa’s film further deconstructed this romanticised view of history. Suddenly, it made sense why the villagers were frightened into hiding as the Samurai arrive at their village in the film – the main difference between the Samurai and the bandit villains was the Samurai had social status behind them. Considering how much of Kurosawa’s filmmaking career focused on Samurai characters such as Yojimbo (1961) and Throne of Blood (1957), as well as his personal connection in being a direct descendent of Samurai, it came as a great shock that Kurosawa was largely responsible for deconstructing the mythology surrounding them early on. Kurosawa, despite being a godfather figure of Japanese film, was considered more on an international filmmaker appealing to Hollywood and diverged greatly from what local filmmakers considered authentic Japanese film. Further research into Kurosawa led to the shocking discovery that his deconstructionist and revisionist films were frowned upon in Japan, and despite introducing the world to Japanese film he was “often regarded with a cold, critical hostility by many of his own countrymen” (Donovan 2008, pp.15). In fact his international acclaim had largely drawn “condemnation by the Japanese intelligentsia” and his works had been rejected by the upcoming wave of Japanese filmmakers as the “irrelevant, reactionary” pieces that became a symbol of what “Japanese film had to overthrow” (pp. 15). In this sense, Seven Samurai becomes an incredibly interesting auto-ethnographic piece to study. While my initial intention was to explore Japanese film in the most authentic way possible, by watching the films of a widely regarded Japanese filmmaker that I initially believed embodied everything about Japanese film, many have historically disregarded his work as being non-representative of the culture. Even though there is a historical and social basis to Seven Samurai and Kurosawa’s other films, his cynically honest approach to demystifying Japanese culture, is an extraordinary revelation that adds further dimension to my auto-ethnographic study and provides a perfect platform for further research. “Do you want to watch Casablanca tonight?” asks my dad during the intermission of Akira Kurosawa’s Seven Samurai (1954). At exactly one hour and forty-seven minutes into the film, I wasn’t even sure if I could stomach a movie for another week. I’d already spent longer watching Seven Samurai then the entire length of some modern films, and the foreboding drumming during the intermission informed me that I’d barely scratched the surface of this Japanese classic. I want to make it clear at this point that I’m a dedicated film buff. I love any and every film that plays by it’s own rules. Whether the film runs for one hour or four, it’s of little concern to me. I’m focused on what the director has done with this extra space and whether or not the content merits an increased runtime. 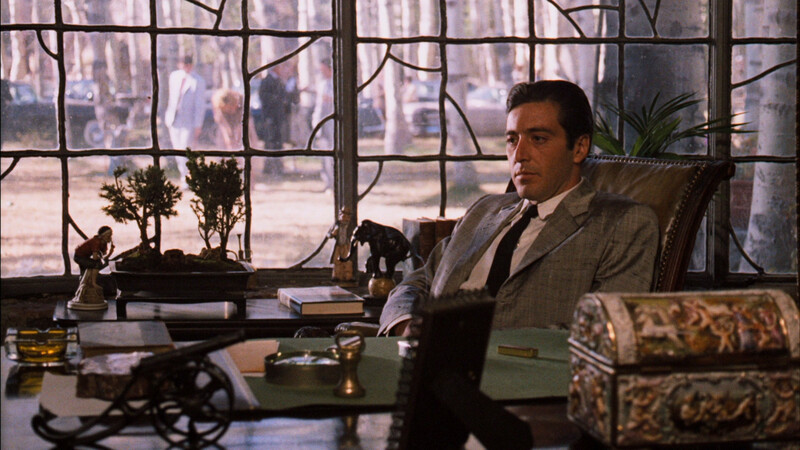 In the past I’ve sat through films like The Godfather Part II which runs well over three-hours and felt it needed to be longer. What I’m trying to say is that “movie fatigue” has very rarely – if ever – set in when I’m watching a film. So these feelings I was having halfway during Seven Samurai were new and alien. In all fairness, this was not my first “attempt” at conquering this film. Around three years ago during a classic film binge, I foolishly decided that diving headfirst into this three-hour foreign film should be my “introduction” to global cinema. That is the equivalent of skipping the game to play the final boss fight. You’re not going to have a good time. Finding a copy proved a challenge. At first I was interested in the Criterion Collection remaster; a high-definition restoration of the film that aimed to provide an experience closer to Kurosawa’s original vision. To my dismay however, as I’d learned in the past with such remasters, this was a US Exclusive Blu-Ray and short of ordering in a new player, there was no Region B (Australia Blu-Ray) alternative that I could purchase. Attempts to track down the DVD copy from the local library also proved fruitless, as I remembered it was one of the reasons I couldn’t get into the film the first time around. Trying to ignore the blemishes and destroyed film reels hastily put together for hungry Western audiences had led to a poor version of the film at best. In fact that exact DVD copy of Seven Samurai, had been the film that convinced me to purchase exclusively Blu-Ray’s in the future. “Yeah this Seven Samurai thing isn’t gonna work”. Then came my salvation, in the form of an extremely-cluttered website called KissAsian. This website had more ads then a Saturday night movie on Channel Ten, even with an ad blocker installed. But as I clicked play, I felt a tear of joy fall down my face. Not only was it a HD version of the film, it was the Criterion remaster I had desired. The celebrations were brief, as I released that this minor victory meant the next three-hours and twenty-seven minutes of my life would be purely watching this film. I hovered over the play button, wondering whether I could leave it all for another day. My finger, however, betrayed me and hit the button. I must admit, the first half of the film was much more engaging then I remember. Maybe my experiences with Gojira (1954) and Akira (1988) had rubbed off on me, but I found myself getting immediately invested in the characters and plot this time around, almost ignoring the fact that I was entering this world as a Westerner relying on subtitles. Though the film did have a tendency to drag in places I found myself, dare I say it, enjoying it. This was however, where the irregularities began. I would often pause the film to stretch my legs, grab some coffee, just to mentally catch up with the film. This is unheard of for me, particularly when I know the film has an intermission. When I watch a film at home I reach an almost pretentious level of wanting an “authentic” cinematic experience, wanting a completely unbroken, start-to-finish, viewing of the film. These small interruptions were almost involuntarily. This brings us back to the intermission, a cross-roads in my experience with the film. I knew I was going to watch the rest, so as to not make the time I spent on the first half mean nothing, but I was exhausted. I don’t say this in a negative way, in fact it’s the complete opposite. The film demands you pay attention. The imagery, interactions and flow of the story take no prisoners, meaning looking away for even a second could lead to missing a vital plot point that won’t be spoon-fed to you again later. Without wanting to compare Eastern and Western films, I’d grown up under the illusion that films should include “down-time”. A peaceful plateau in the action where our brains can just chill for a moment. Kurosawa has either never heard of it, or doesn’t care for it. The intermission comes as almost an act of mercy as if Kurosawa himself is watching over your shoulder saying “alright, take your piss and come back, we’ve got a lot of ground to cover”. While the final half was somewhat of a race to the finish with my attention, I lapped up every second and was secretly growing so attached to the world that a part of me didn’t want it to end. But with the final shot I, like the remaining Samurai characters, were returning once again to the “real world”, having both shared in this brief fantasy. Seven Samurai was more then just a cross-cultural experience for me. It was a journey. I’m glad I finally was able to revisit this classic, and give it enough time to appreciate it’s nuance. But now, like the end of a metaphorical rollercoaster ride, its time to quickly find a quiet spot to let my brain puke. I’m a 90s baby, I grew up watching Hi-5, The Wiggles (originals) and then grew into more sophisticated films like Mean Girls that truly understood the struggles of growing up in a white privileged society. I’ve grown up in a mostly peaceful time, and the only worries I’ve faced have been “end of the world” scares that never eventuated. As a result, the films I watched growing up were mostly light-hearted fun, adventure filled stories that never showed hard-ships. I would have never watched Godzilla growing up, and even if I did I would have missed the underlying metaphor behind the film. This is because I’ve never lived in a time where the horror of nuclear war or death of loved ones has ever been a treat to my perfect bubble wrapped life. As I watched Godzilla, I found it difficult to relate to the characters because I had never experienced anything that made me think about how my life could be affected by this. Also, my experience of films up to this point were American made or American sympathised, therefore the common enemy of those films were Russia, Japan, or Germany that had made up the Axis Powers in World War II. These stereotypes had carried across to my understanding of the world around me, and it was only until I was old enough to experience the world for myself that I found this to be this incorrect. Therefore, expanding my understanding of International Film is a valuable source to understand how other countries document and make sense of hard-ships they have faced. The Japanese film industry using a nuclear, fire-breathing monster as a metaphor of the destruction the US inflicted upon Japan during the war makes this film more relatable for many different audiences, rather than if it was a more direct portrayal of the event. It ended up becoming a hugely successful formula and as a result, ironically America has released their own Godzilla films. Being a 21-year-old Australian I generally tend to watch films that are contemporary Hollywood blockbuster romantic comedies, so watching the film Godzilla was definitely a diverse experience. During the beginning, the first thing I realised was that the film was in a square format, which I am not familiar with only watching modern day movies. This along with the black and white made me question how long I’d be able to dedicate my attention to the film. Being someone who is attracted to bright colours I assumed I would lose focus fast but fortunately this wasn’t the case. Come to think of it, I haven’t watched a black and white film before other than the Wizard of Oz but that was only black and white for a short period in the beginning, hence why Godzilla was far out of my regular film choice. Fortunately, the dramatic story line kept me entertained for much longer than expected, the effects were extremely impressive for such an old film and it was pleasant watching something from a different era, although I wouldn’t do this regularly. Comparatively, I did think there were a few issues with the film in terms of performance and editing. The scratches in the film became quite distracting and there were times there was a need for sound but it cut out unexpectedly which was a let down. Not only this, the acting was very dramatic and highly staged in comparison to the mainstream Hollywood films I watch which are generally natural and realistic and this really emphasised how ‘corny’ Godzilla was at times. Especially referring to the monster itself, who looked fictitious and artificial, specifically in the scenes where it emerged from the water and ‘breathed fire’. The subtitles in Godzilla created a new film experience for me, being someone who hasn’t watch a film with subtitles before. I’ve never needed to as I’ve always watch movies in English and had no interest in anything else. I didn’t realise until about 5 minutes into Godzilla that all I was doing was reading the subtitles and not actually watching the film itself. They became quite distracting because I knew I wouldn’t understand what was going on if I didn’t read them, so I continued to lose focus until about midway through. From here it became easier and easier as time went on to channel my focus into the entire film experience including the subtitles, actors, scenes etc. and it surprisingly became quite enjoyable. Out of my own curiosity to decided to research how effects were executed before we had the luxury of all these fancy computer programs. According to Harness, the approach they took to editing especially in regards to films with animation or monsterous characters like Godzilla, was very time consuming and required a lot of patience (2010). Everything had to be done in a manual manner, and discovering the effort that went into the creation of the movie really made me appreciate it more. Something I noticed was that there was a clear difference in terms of how women were represented in this culture and time in history. From what they wore, how they acted in front of men, to how the men treated them. It opened my eyes when comparing it to cinema today, female actresses now have much more power and equal rights than during the time Godzilla was filmed. Overall, this movie was the complete opposite of what I’d usually choose to watch and although there were parts that made me slightly cringe, it was an insightful experience to see a cultural and historic film with a thriller story line like Godzilla. Everything about my life is a product of western culture. Objectively, this doesn’t come as too much of a surprise given my Australian upbringing. Now it gets a little concerning when my only engagement with varying cultures, specifically Asian culture, has come from a completely Western viewpoint. Films like The Last Samurai and Lost in Translation, although presenting themselves as thinly veiled avatars of Asian culture, are still predominantly constructed with the western gaze in mind. This exposure, or lack thereof, has been profoundly influenced by my cultural context. Growing up on an Australian farm during the early part of the 21st century isn’t exactly an ideal scenario for contact with culturally diverse images and messages. This not only affected the frequency with which I came into contact with these varying modes of media, but also the way in which I interacted with them when I finally did so. Take for instance Ishiro Honda’s cult classic Gojira (1954). Western audiences have spent more than half a century interacting with Godzilla as no more than a comical, far cry from the horror films constructed in Hollywood lots and locations. The monolith of Godzilla is viewed, still by many, as a joke dinosaur in a rubber suit. The overly histrionic sound effects and visuals all play into a highly-constructed camp backdrop that has western audiences viewing the film as no more than a bit of Japanese ‘trash-culture’. Even my years as a communications student did not make me immune to the comical scrutiny that I placed upon the film, commanded by my own cultural frameworks. But constructing Godzilla as the harbinger of a man-made apocalypse isn’t just another attempt at securing audiences who are drawn to high-impact scenes like moths to a flame. The film is a sober allegory intended to shock and horrify an adult audience. The use of startling images – cities in flames, crowds in panic, helpless armed forces – would have unfortunately been all too familiar to the cinemagoers who less than a decade before would have experienced the key themes of survival and death depicted within the film. This is further developed through the highly poignant script which posed deliberately provocative questions about the use of nuclear power, and post-war power struggles. My own cultural upbringing in the 21st century unfortunately created an initial disconnect between myself and the film. Like many blockbuster hits that I am accustomed to, I viewed Godzilla as no more than a fictive construction deployed to entertain audiences. But as the film continued on, and focuses narrowed in, it became hard to ignore the reality of the tragic story of nuclear paranoia presented before me.